It’s summer in northern Michigan and the weather is as changeable as ever! Cloudbursts all day! Sunshine off and on! Waiting out the evening’s shower netted me a couple of great pics! 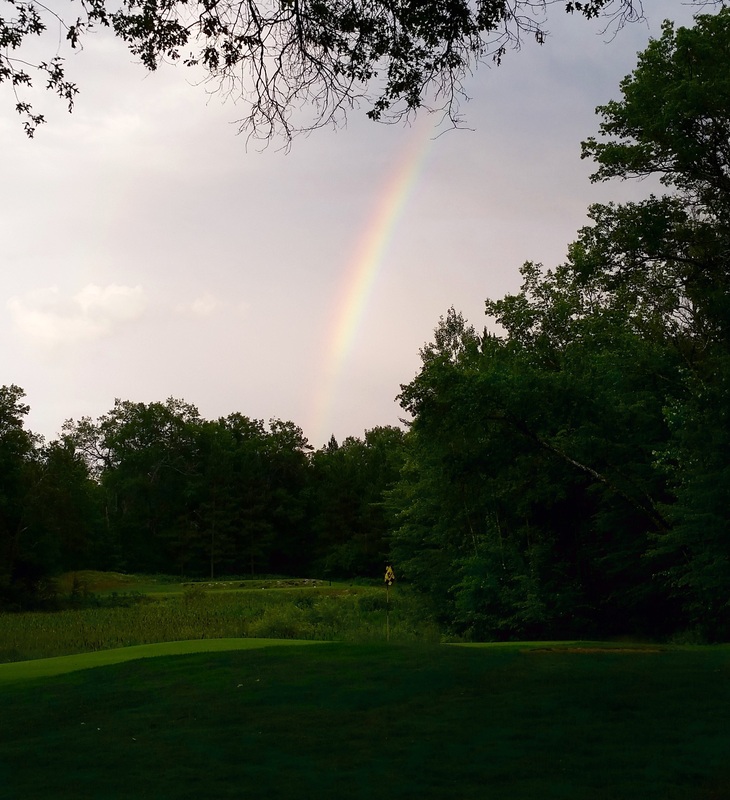 The beloved par 3 right before our log home had a wonderful bonus tonight…..for a change…. 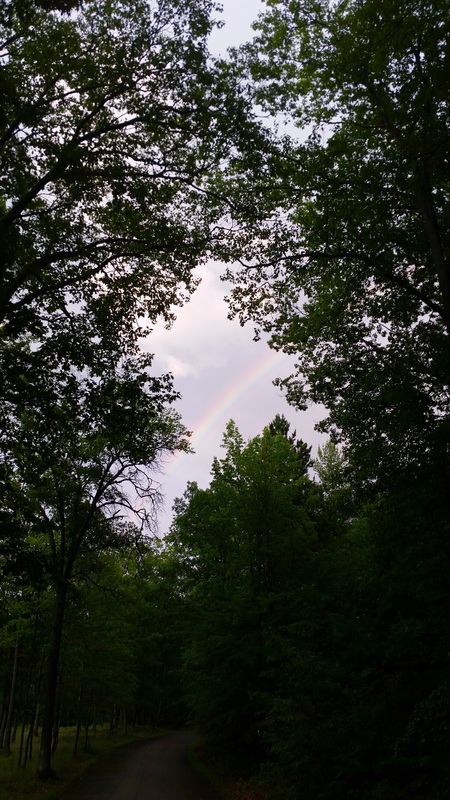 A little further on my evening walk with our dog, Sammy, and more wonderful rainbow(s)! Can you spot the mirror one?